You’re in Orlando having a fantastic time and getting away from the everyday. You’ve seen a lot of interesting things and made new memories. Now everyone is worn out and looking forward to a quiet meal in your room. You get the idea to order pizza! Why order from a national chain, cookie cutter pizza place that you can order from any time you’re at home? You’re in Orlando now, so why not try something refreshingly unique and local instead? 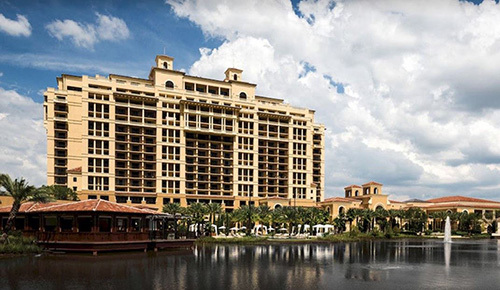 Caprino’s Italian Restaurant is your local resource for fresh, hot pizza delivery to Four Seasons Resort Orlando. Chef Stefano Tedeschi, the head Chef at Caprino’s has come up with unique and stunningly delicious pizza creations that we’re sure everyone in your group will love. With his beginnings in a family restaurant, and continuing his culinary lessons with professional Chef’s in Italy, Chef Stefano has come up with tasty ideas for pizza that will thrill any ardent pizza lover! You’ll love the authentic Italian tastes when you choose Caprino’s Italian pizza delivery to Four Seasons Hotel Lake Buena Vista 32836. Order your fresh pizza delivery today. Call Caprino’s Italian 407-500-3663. Try unique pizzas like the Hog Wild featuring savory bacon, tempting spicy sausage, Parmesan Reggiano, Mozzarella and Provolone Cheeses and authentic Italian Soppressata. 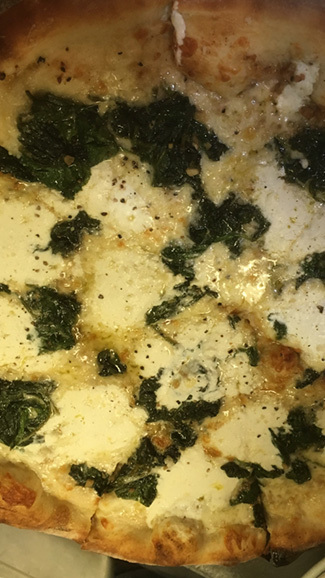 The Bianco Pie features a garlic infused Ricotta base topped with Asiago cheese to make things interesting, plus fresh basil, cracked black pepper and a sprinkling of spinach. Chef Stefano’s Special is perfect for anyone who loves authentic Italian meats like Prosciutto Di Parma and spicy sausage. Top that with Mozzarella and Provolone cheeses and roasted red peppers, and you have a mouth-watering blend of fascinating tastes. Youngsters may prefer plain cheese pizza, but did you know that even a plain cheese pizza is made extra special by Chef Stefano from Caprino’s Italian Restaurant by artfully blending true Italian freshly grated cheeses? 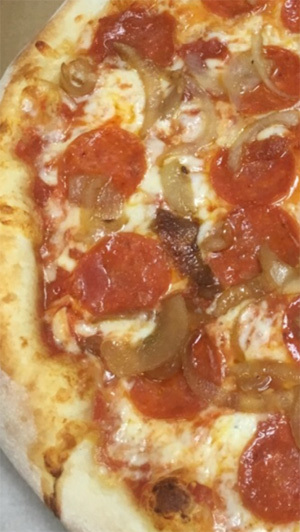 Other traditional toppings include pepperoni or sausage, bacon, ham, olives, mushrooms, onions and extra cheese. You’ll love knowing that your traditional pizza will soon be on its way to you when you choose fast pizza delivery to Four Seasons Orlando at Walt Disney Resort. You can also have specialty pizzas you’ll love delivered by the best pizza restaurant near Four Seasons Orlando FL 32836. For some folks, the adventurous nature of a getaway to Orlando includes also adventure in food choices. These are the people who will adore creative pizza toppings like shrimp, calamari, salmon, Capicola, Prosciutto Di Parma, spicy banana peppers, Soppressata, chopped figs and anchovies. Knowing that you’re getting your pizza delivery from your new favorite Pizza restaurant near Four Seasons Lake Buena Vista FL 32836 lets you experience the difference that emphasis on true family values makes. Chef Steff and the entire Caprino’s staff works to make every baked to perfection pizza something everyone will love. Striving to be the best pizza near Four Seasons Hotel Lake Buena Vista is always the primary focus. Caprino’s specializes in catering, dine-in, takeout service and the best pizza delivery to Four Seasons Orlando at Walt Disney Resort. When you order Caprino’s Italian pizza delivery to Four Seasons Hotel Lake Buena Vista 32836, your fresh home-made pizza arrives in perfect condition, ready to be savored. This is something you can’t always say about large chain pizza places that crank out pizzas assembly line style without much thought put towards originality. Caprino’s is likely to become your new go-to way to enjoy a hot, savory family style meal delivered straight to you so you won’t have to go out or take a chance on room service. Order a pizza from a cookie cutter chain restaurant and you don’t always know what you’ll get. You could end up with frozen meats, pre-packaged cheeses and frozen vegetables that end up being part of the pizza that shows up on your doorstep. 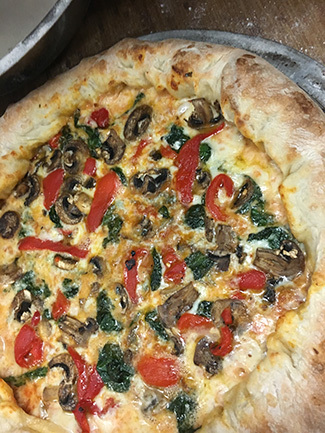 When you rely on Caprino’s for the best pizza near Four Seasons Hotel Lake Buena Vista, you know with 100 percent certainty that your pizza was carefully hand-made using the freshest premium ingredients. Imported water and flour goes into the delicate, crispy crust on every Caprino’s pizza. Artfully blended sauce is then topped with authentic expertly chosen meats, and crisp fresh tantalizing vegetables for an unrivaled, unbeatable Italian taste. Hand shredded cheeses top your pizza creation perfectly. And to think that this delightfully fresh pizza creation begins with a simple phone call. You end up with hot, fast and fresh pizza delivery to Four Seasons Orlando for a memorable taste sensation you and your loved ones will savor. Call today to experience service from a true, local superstar in pizza delivery, Caprino’s. Order your fresh pizza delivery today. Call Caprino’s Italian at 407-500-3663.